I use the following to encode DVD to AVI and rencode to a smaller DVD. # XViD codecs and generally will compress the data down to < 4GB. mencoder dvd://1 -dvd-device /media/dvd -aid 128 -sws 9 -ovc xvid -xvidencopts pass=2:bitrate=1300:vhq=1:max_bframes=2:threads=2 -oac copy -noodml -o "movie.avi"
# a burnable DVD ISO. OK, so I have some instructional and other non-commercial video DVDs which I thought would be necessary to archive. As a n00b I set out to find any Linux tools which could help with extraction and compressions of DVD filesystems for archival purposes. Since I run GNOME in Debian I was introduced to DVD95, which I found odd as a recommendation because of it's very name. As I did some more research on DVD filesystems (thank you Wikipedia) I found out that most DVDs are written on two layers, just over 8GB, this being DVD 9 format, while single layer DVDs can hold around 4.3GB, that is DVD 5. DVD95 shrinks a DVD9 to DVD5,hence the name DVD95. However, this software wasn't on the Debian repositories so I decided to compile from source. That was pretty much it. The only problem I had as is noted, was the lack of development libraries which were easy enough to get so ./configure could proceed. According to the INSTALL file for DVD95 it is possible to configure with specific flags, but I had no need for them. So far it's working great. It's been a while since I added anything here, but since there are only two people reading this blog it is not a big deal. Truth be told, I got sidetracked with other projects and I just didn't have the time to write anything. A couple of months back I was having some trouble with Ubuntu Hardy on my old Dell Inspiron 1505E laptop in terms of performance. With the laptop finally showing its age I decided to go with Debian, first Etch but soon enough Lenny was released so I upgraded to it and installing some additional software and such. Obviously, whenever I ran into something unexpected I used google and the guides of others, all of which I bookmarked. a. On the address bar: about:config. Right click on general.user.agent.extra.firefox. Change Iceweasel to Firefox. b. Download Google Toolbar. Click cancel at the prompt to download new version of Firefox. echo "Starting iptables script /etc/network/if-up.d/fw.start"
This program is part of the requirement for dvd-slideshow. Linux makes things too easy. I have no idea why so many people still stay away from it. I know what it is: fear of the command line. I downloaded the driver files from the Linksys site . I needed version 4, and after file extraction copied rt2500usb.inf and rt2500usb.sys to a local folder. The next step was to blacklist the old driver. A quick check of iwconfig confirmed a wireless card. Afterward I edited the wpa_supplicant file, edited the /etc/network/interfaces file to add the new card and automate wpa_supplicant. The last step was the add dhclient to the begining of (and below the first line) /etc/init.d/rc.local file. A quick reboot put me in business. Hooray! I wonder if I'll ever get to use Windows on this PC. My wife might, so I'll leave it be. Accepted the default settings and moved on. I did my best to spell out the commands as well as I could. which I added under the Network submenu. There are many other sources out there, but i like this one. 3) Paste it below the last line and save the file. 4) Reebot, and happy surfing. clicking on a part of the page that sends me where I don't want to go. As I was listening to my professor drone on and on the Rules for Determining Whether Certain Obligations and Interests are Securities or Financial Assets (UCC 8-103) I decided I had enough. Thankfully, today I was late for class so I had to sit in the back row, so I fired up my laptop and began browsing the web, while my Olympus digital recorder kept a record of the professor's lecture. I was checking out reddit.com and digg.com but a lot of the articles and comments were making me laugh so much that I was worried I would disturb the class. There is something to be said about paranoia and the simply ridiculous reasons that motivate people to write the way they people who comment on those two sites do. Occasionally, I do come across some decent and well written articles or comments, which stand out rather clearly because of the prevalence of so much bad writing. But this is getting me off track. Soon enough I got bored with reddit and digg, so I decided to play with Backtrack 2. Why not, the lecture was pretty boring too? The first step was to bring up my wireless card. As usual this is a point of some consternation for me, not induced by Linux, as my frustration is directed at the reasons behind manufacturer decisions not to support Linux and open source. Yeah, this is rather ironic seeing how I am sitting in Business Law I (see: § 1-103. Construction of [Uniform Commercial Code] to Promote its Purposes and Policies: Applicability of Supplemental Principles of Law. and Patent Law). Anyways, since I have a Dell Inspiron E1505 (6400) laptop, I know that when the kernel loads it defaults the to the bcm43xx wireless driver. A quick check with lsmod | grep bcm43xx outputs the driver info. Before I do anything I need to find out if ndiswrapper installed so ndiswrapper -v returns the module and version number. Time to remove it so modprobe -r bcm43xx takes care of that, and a check with lsmod | grep bcm43xx returns no values. I already know that my wireless card uses a Broadcom driver and I already have saved the bcmwl5.inf and bcmwl5.sys in a folder called wireless. ls /mnt checks the mount points and cd /mnt/sda2/wireless changes location to the wireless folder so I can copy the files to root directory(~ i.e. tilde) as cp *. * ~. After changing back to root I installed the proprietary driver ndiswrapper -i ~/bcmwl5.inf and then I check to see if the driver is installed ndiswrapper -l. So I initiate the module modprobe ndiswrapper and then check to see if it is installed lsmod | grep ndiswrapper. iwconfig checks to see if my card is present and ifconfig wlan0 up brings up the card. My college uses WEP encryption so I need to use WPA supplicant; checking to see if installed wpa_supplicant -v I get the module and version number. I already have a wpa_supplicant.conf file available with the network information in a folder on my drive, so I copy it to my /etc folder cp /mnt/sda2/Docs/wpa_supplicant.conf /etc/wpa_supplicant.conf. After that I invoked wpa_supplicant wpa_supplicant -c /etc/wpa_supplicant.conf -i wlan0 -D wext -dd and wait for authentication. Since my school uses DHCP I force the network to assign an IP to my card through dhcpcd wlan0. Now, I tried pump -i wlan0 and dhclient wlan0 since I used them in Knoppix and Ubuntu respectively which didn't work, but I remembered SLAX, hence dhcpcd. As dhcpcd didn't hang I pinged google.com and packets started streaming. Wifi is up and running. But here's the stupid thing I did: I closed the terminal window, where I had wpa_supplicant running, so I had to kill all the processes associated with wifi using killall . Yeah, that was fun, and still I am unsure why I had to remove the drivers and start from scratch, but I have to google this. All in all, this took me about 20 minutes and I am writing this while on Backtrack 2. Yet another thing got me thinking! How do I secure my computer and manage traffic in or out? In come Iptables after some goolging and running into a tutorial for iptables. Alas, time has run out. One thing that I needed to check was how to automatically reinitialize my wifi setup, but will have to check that out later, probably before reading on iptables. 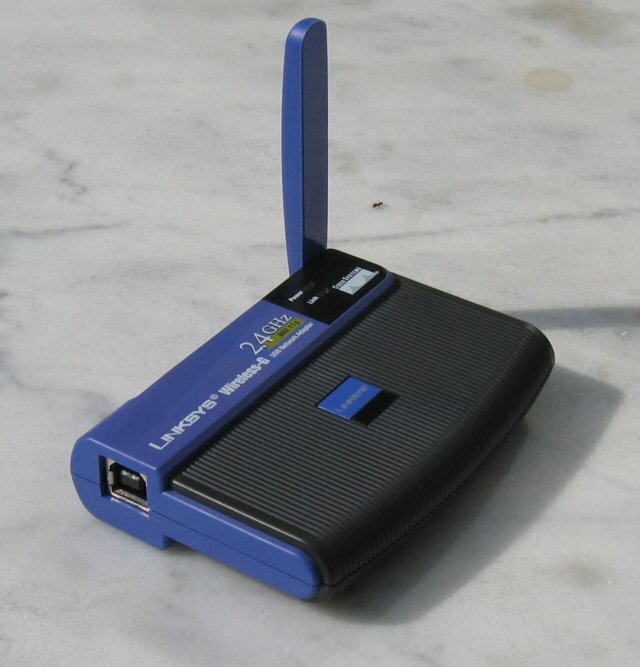 Then, using the aircrack tools it might be a good idea in auditing my home network and that WPA encryption I have on. Class is dismissed - gotta go.